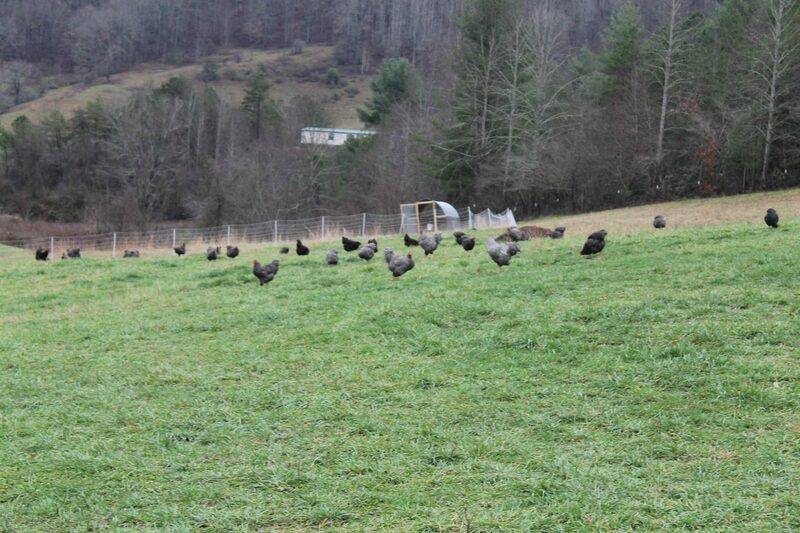 Franny’s Farm is proud to have a Sustainable Poultry Network certified flock. It is a unique time to be a part of the growing movement to reconnect with our food and live by “we are what we eat.” We want our chickens to be the happiest, healthiest birds on the block. They enjoy outdoor pasture and grow at a normal slow growth rate so they have strong skeletal structure, normal organ development, more muscle and texture to the meat, more nutrient and genetic strength with strong immunities. 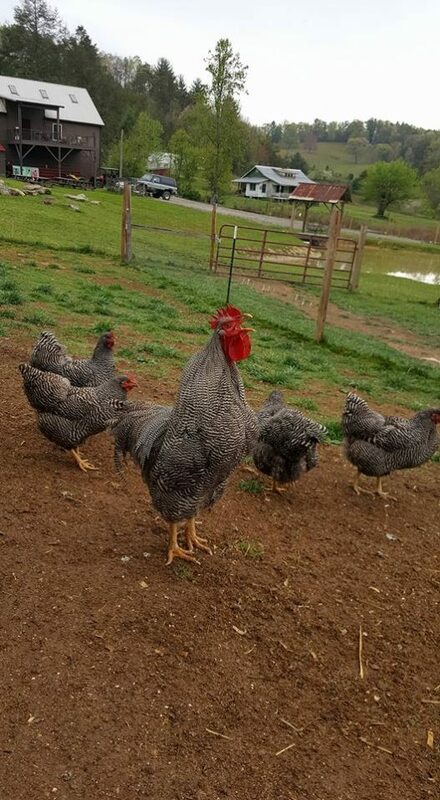 We are committed to the highest standards of care providing a certified heritage chicken breed that has never been treated with hormones or antibiotics, gets exercise and is fed all organic, non-GMO feed. Supporting your local farmer, learning about Heritage breeds & cooking techniques is an amazing shared experience between friends & family!!! We provide recipes and cooking instructions along with other garden goodies to accompany any meal. These are the kinds of birds our grandmothers raised for many generations! 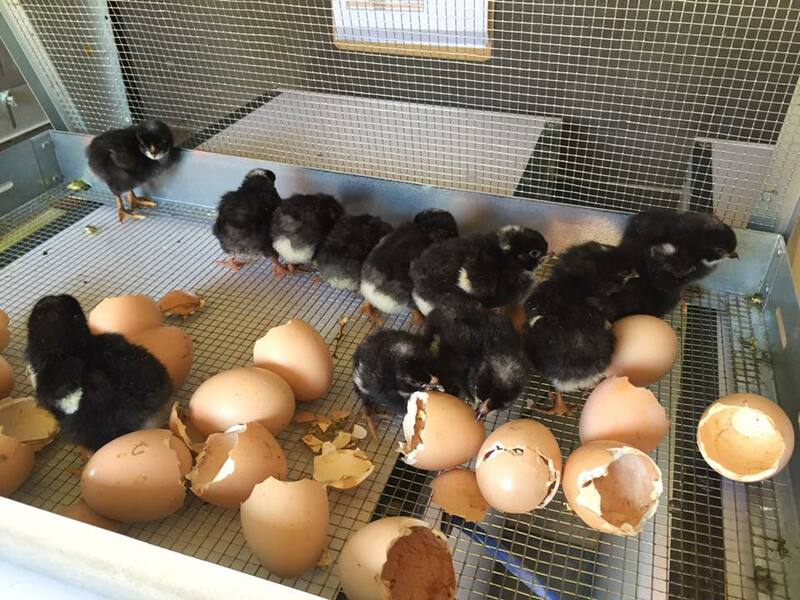 Order your Chicks, Pullets, or Sign Up for Classes! 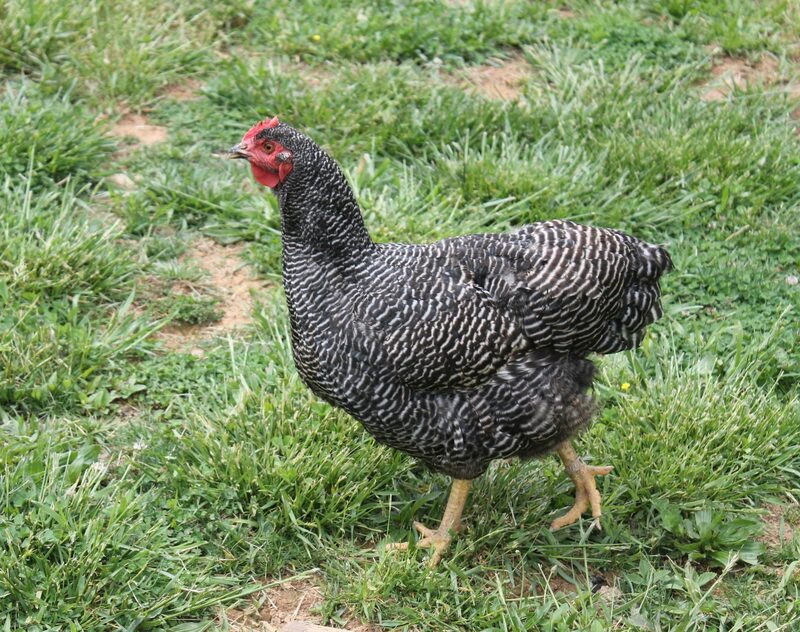 We at Franny’s Farm are involved in the full cycle of poultry production. From breeding for genetics, incubating, hatching, & brooding, to chick sales, meat and egg production, & on-site processing worshops. We are all about creating local and regional food movements, specifically with standard bred, heritage poultry for meat and eggs! Franny’s Farm is committed to breeding, growing and marketing poultry that can naturally reproduce and be genetically maintained. 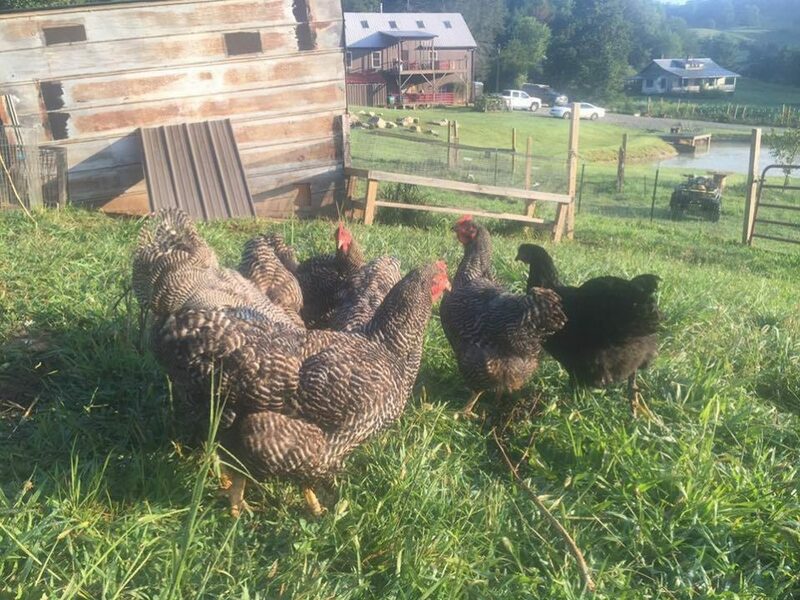 Want to start your own backyard flock or expand your current flock? Our chicks are certified heritage non-GMO. Cost: $6/each. All hatches are set for larger orders of 25 or more chicks for sustaianable farmers throughout the country looking to get into heritage breeds. All backyard chicks will be posted on social media after the large orders have been filled. Follow us on facebook for posts on all backyard chicks for sale. All chicks are sold straight run. 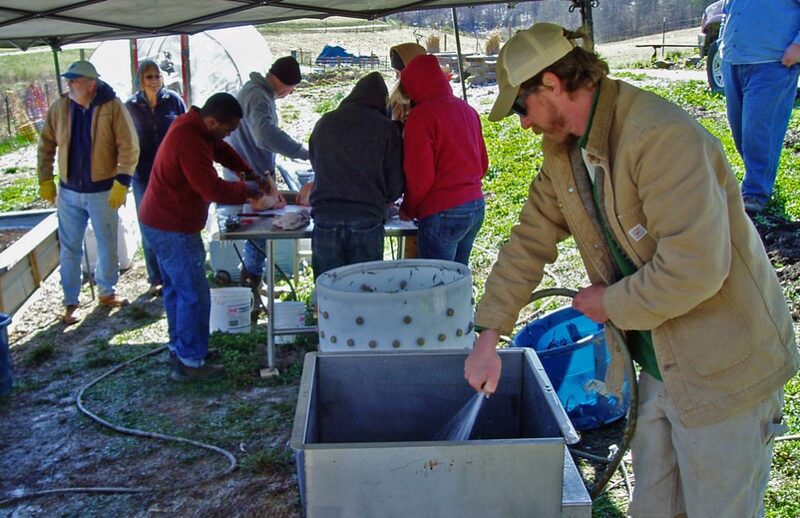 Any roosters received may be brought back for processing no sooner than 18 weeks from their original hatch date and must be scheduled with the farm in advance. If you have any questions call (828) 212-4993 or email franny@frannysfarm.com. All hatch dates are filled per order. Fill out the form below to start your order today! 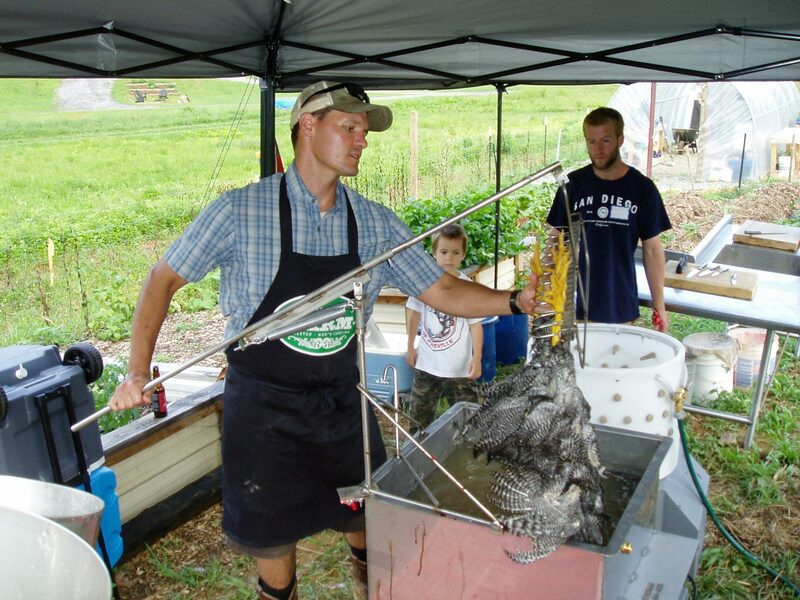 Come out to our seasonal processing workshops and learn how to humanely and efficiantly kill, pluck and evisarate a whole bird, as well as, a full portioning demonstration from Farm Manager & Chef, Karissa Cook. Recipes and a processing instruction manual are included in all packages. Other packages include taking home a fresh processed chicken and even a full bag of produce from our organic vegetable gardens. For $25 — Processing and Portioning demonstrations plus recipes. For $50 — After Processing and Portioning demonstrations, take a freshly processed chicken and recipes home. 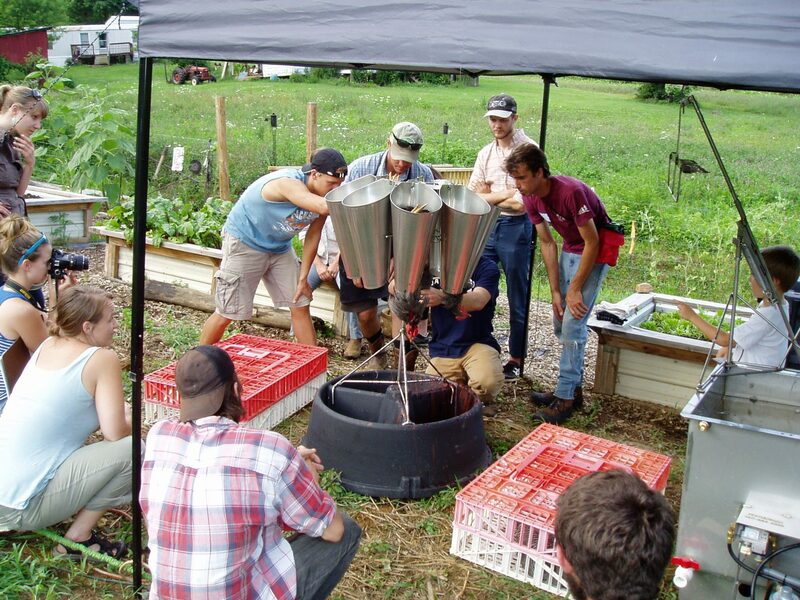 For $65 — After Processing and Portioning demonstrations, take a freshly processed chicken and harvest 1 bag of vegetables from our organic edible gardens and recipes home. Sign up here for our free Poultry care guides!